There is no doubt that healthcare cleaning is an important job. It is critical to maintain clean healthcare facilities, for the safety of the patients and the staff. Our health care cleaning company is committed to providing top of the line professional cleaning services. We know what needs to be done and we will work with you to make sure you are more than satisfied with our work. Our janitors will make sure that you are pleased with our work. Before we begin we will talk to you to find out exactly what you are looking for, and weekly inspections are provided with your staff, to make sure you are satisfied. Our healthcare cleaning services are available on a daily, weekly, or monthly schedule, and we have vans available to bring staff over when needed. Our staff is available to work diligently during the day, evening, or night - whatever is convenient for you. We only hire professional and dedicated staff at Pro Service Cleaning, LLC. All members of our staff are well trained for cleaning medical offices and other facilities. We aim to please, and will work hard to exceed your expectations. 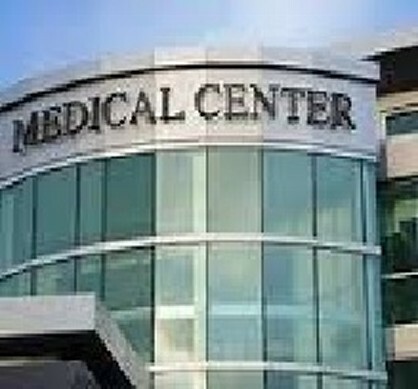 Pro Service Cleaning, LLC currently has a wide variety of clients in the medical field. We offer medical office cleaning, dental office cleaning, MRI center cleaning, addiction treatment center cleaning, and other medical care cleaning. If you are interested in us servicing your particular health care company, please give us a call and we will talk to you about your particular situation. We currently provide medical office cleaning services in the Miami, Ft Lauderdale, Pompano Beach, Boca Raton, Weston FL and other Broward and Palm Beach County areas. We would like the opportunity to tell you more about our trustworthy health care cleaning company. Pro Service Cleaning, LLC is a Miami Residential/Commercial Cleaning company.Our main offerings include: Janitorial Services, Floor Waxing, Carpet Cleaning, Marble Polishing, Window Washing, Office Cleaning Services, Tile and Grout Cleaning, and Janitorial Building Maintenance.